Several herbal products are available for breast enlargement that claim success and no harmful side effects. Some scientific studies have offered many findings, from the increase of breast size and firmness, to little to no difference. As such, women have used them successfully for many years. Most of these herbal products contain a variety of ingredients, including grains, hops, saw palmetto, wild yam, kava, fennel, black cohosh, and fenugreek. Some dietary supplements contain substrates of Fusarium, a fungus that produces a potent estrogen associated with breast enlargement in humans and other species. When the hormone estrogen is taken in high doses, it stimulates the growth of breast tissue and increases the size of the breast. Phytoestrogens are plant-based estrogens and they include alfalfa, flaxseed, isoflavones, licorice, red clover, sage, and verbena, as well as the herbs listed above. The most commonly used herbs in breast enlargement herbal products are: fenugreek, wild yam, and fennel. Fenugreek contains diosgenin, which can be converted to progesterone in the laboratory, and presumably the conversion takes place in the body as well. This is good news for women, and so is the fact that fenugreek has been used for ages by different cultures around the world. Breastfeeding mothers consume fenugreek to increase milk production. Women have used fenugreek to enhance buxomness and look attractive for many years. Sprouting fenugreek seeds is recommended if the seeds are used for breast enlargement. Fenugreek sprouts contain larger amounts of diosgenin than the unsprouted seeds. Furthermore, fennel has been used for centuries to increase breast size in women due to its estrogenic properties. Additionally, wild yam also contains diosgenin and has the same properties as fenugreek that helps in breast enlargement. Saw palmetto acts as a hormone regulator. Although it is used to treat benign prostatic hypertrophy, it inhibits the prolactin hormone, which is a desired effect in women looking to enhance their breasts. 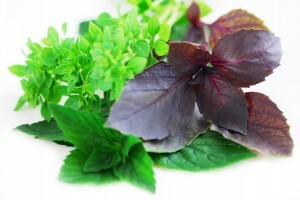 The herbs are usually available as supplements along with other substances in a pill or capsule form. It is possible that women may experience side effects when taking the herbal supplements, and they must watch for any unusual symptoms. The scientific studies are limited. however, feel free to research some of the studies done on P. mirifica and a few other herbs. Alternative medical therapies like Ayurveda and Homeopathy also have products that claim to enlarge breasts. Breast massage with sesame oil is an Ayurvedic option for breast enlargement. Speak with your physician to discuss the benefits and risks of any alternative therapies that you might want to consider for breast enlargement. There are other options for breast enlargement such as breast augmentation using breast implants. Please consult a breast specialist to discuss all your options for breast enlargements. Being well-informed is extremely important in this field!